COLUMBUS, Ohio (AP) — In the final throes of a spirited campaign, President Barack Obama and rival Mitt Romney are awaiting one more measure of the nation's economic pulse — a monthly jobs report that will leave an imprint on the last four frenetic days of the presidential contest. The Labor Department announces new hiring numbers and the October unemployment rate Friday morning, a fitting end to a nail-biting political match dominated by the economy. That data fresh in hand, both candidates are plunging into a hectic pace of campaigning Friday, with Obama eager to fend off Romney in the key battleground of Ohio even as Romney pushed to expand the contest to other states, most notably Pennsylvania, to secure the 270 electoral votes needed to win. Last month's report showed unemployment dropping to 7.8 percent, the first dip below 8 percent in Obama's presidency. However, the last incumbent president to face a jobless rate as high as 7.8 percent in October of an election year was Gerald Ford in his losing campaign against Jimmy Carter in 1976. Whatever the number, it will give either Romney or Obama a data point with which to make a concluding case for or against the policies of the last four years. Still, the reports alone are unlikely to sway voters. Few if any remain undecided and they have shown throughout the year not to be susceptible to positive or negative monthly changes in the unemployment rate. What's more, Friday's report will come amid other signs that the economy is on the mend. Most important, consumer confidence is up to its highest level since February of 2008, according to the Conference Board. Other signposts this week showed auto companies with sales gains in October and increases in factory orders and production. 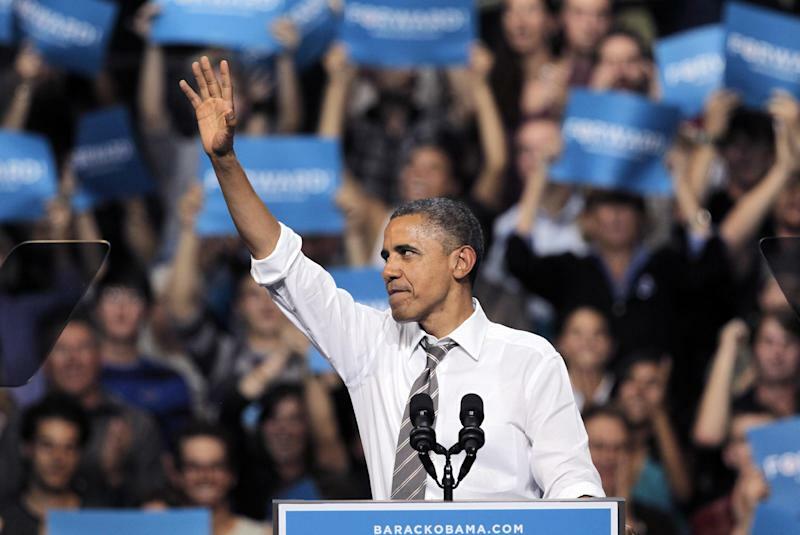 Ohio loomed large on the campaign calendar Friday, with Obama scheduling three stops in that crucial battleground. He also had larger rallies in more urban areas planned for the weekend. Romney was set to hold two rallies in Ohio — the second a large evening kickoff for the final weekend of campaigning. But while Ohio was emerging as the most contested state in the final push to Election Day, Romney and the Republican Party were launching a new drive into Pennsylvania, a state that had been considered safely in Obama's column. 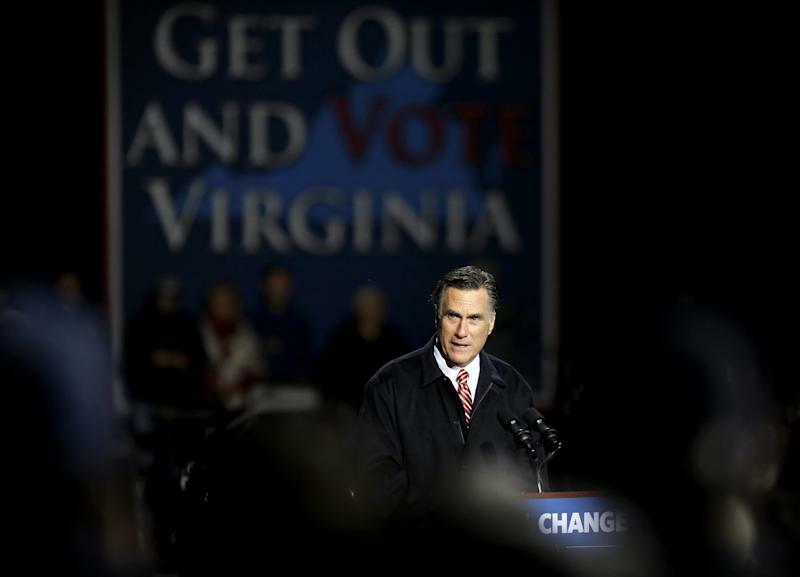 Romney planned to campaign in the state Sunday and the Republican National Committee was putting $3 million in ads into the state. Romney aides said they detected that Obama was underperforming in the southeastern counties around Pennsylvania, a usual Democratic stronghold, and in the working class area in and around Scranton. Obama won the state handily in 2008, largely on the strength of his performance in the eastern part of the state. The RNC, however, says its voter outreach program has already exceeded its performance four years ago, with three times more phone calls and 19 more door knocks than at this time in 2008. 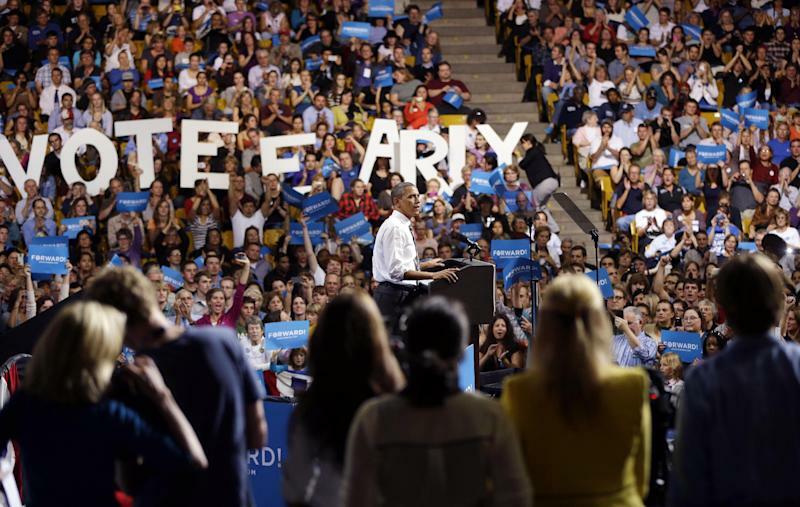 Obama aides dismissed the eleventh-hour move as an act of desperation that underscored Romney's weakness in other battlegrounds but said the Democratic campaign would increase its ad purchases in the state to respond to the RNC incursion. Obama planned to take Romney on directly in Ohio on Friday over the Republican's new ads on the auto industry bailout, campaign aides said. The ads accuse Obama of taking General Motors and Chrysler into bankruptcy, selling Chrysler to an Italian company and building Jeeps in China. Chrysler and GM have protested the ads and disputed the suggestion that Jeep construction was being transferred overseas. Vice President Joe Biden has reacted sharply to the ads, calling them "one of the most flagrantly dishonest ads I can ever remember in my political career." But Obama has yet to weigh in directly, in part because much of his week was dominated by managing the federal response to Superstorm Sandy. Amid all the signs of escalation, there were also signs that Election Day was nigh. Outside the White House, workers were erecting fencing on Pennsylvania Avenue, setting the groundwork for building the inaugural viewing stand and the camera platform in nearby Lafayette Park. Associated Press writers Ken Thomas in Columbus and Steve Peoples and Kasie Hunt in Norfolk, Va., contributed to this report.